Outback Creek Primary School have been short of teachers for quite some time, now they’re running out of students too! Enrolments must increase or the school will be forced to close down. 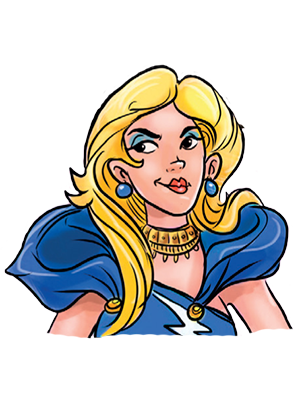 Enter Jennifer Runway, a globe-trotting super-model and Grade 6B’s new Crazy Relief Teacher. She organises Outback Creek’s Next Top Model; a modelling competition where the winner will star in a social media campaign to attract new students to the school. Whose face will be ace and win the competition? Can Pete’s pet sheep, Delta Goodram, be Australia’s Next Top Merino? Will master-stylist Stephano’s refusal to cut Delta’s wool mean she is eliminated? 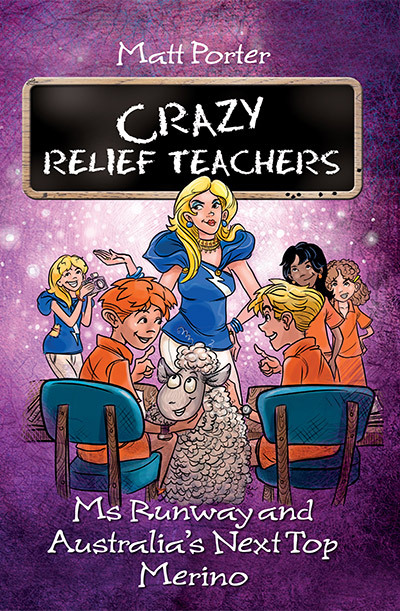 Find out the answers to these questions and more in the hilarious fifth book in the Crazy Relief Teachers series! Click on Ms Runway if you dare!